Freebooters Fate is big - and it is getting bigger. 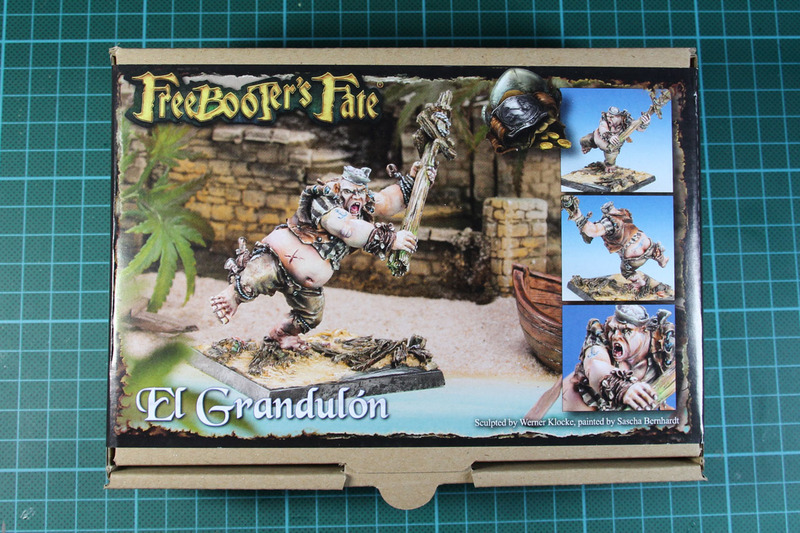 With El Grandulon the game reaches a new size and presents the first ogre miniature for the Pirate Skirmish. El Grandulon is a mercenary and can not be hired by the Amazons, the Cult or the Brotherhood. If you want to hire him, it will cost you 175 Doubloones or 25,90 Euro. 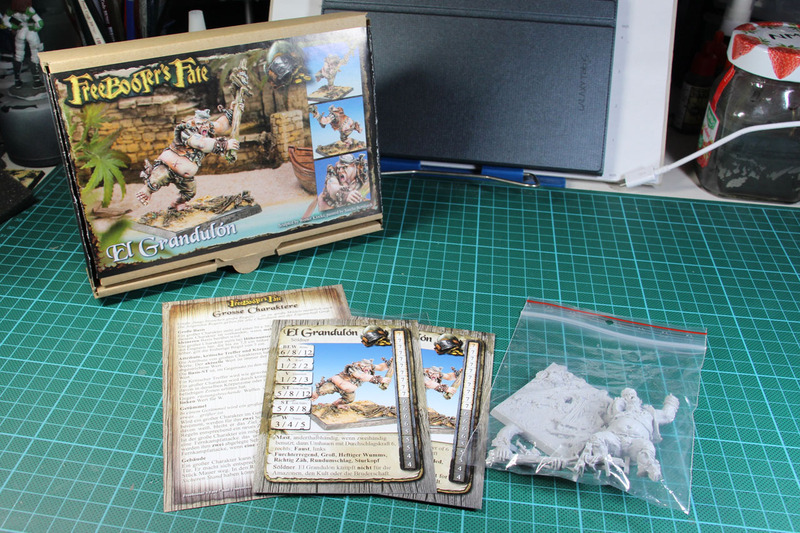 It is the first resin miniature for the game and comes with a large 50mm square base, a rules leaflet and cards (in english and german) along with the matching super-sized card sleeve. 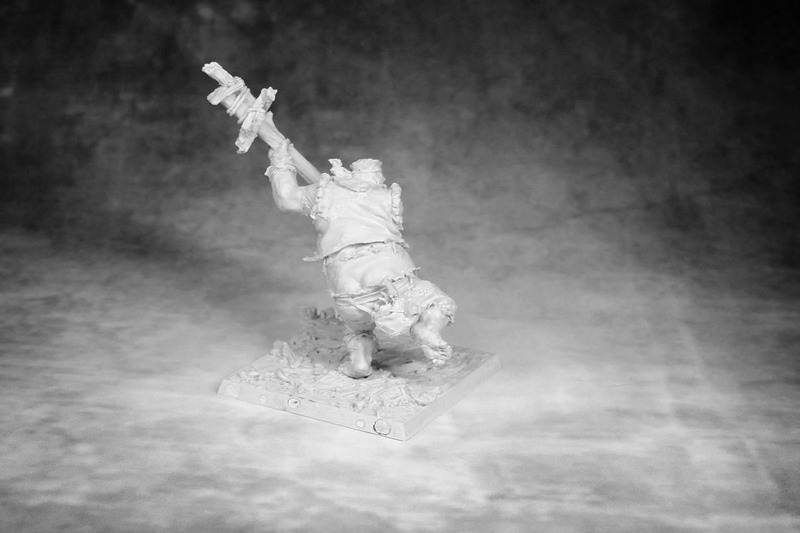 The ogre is a 4-part kit, including the base. 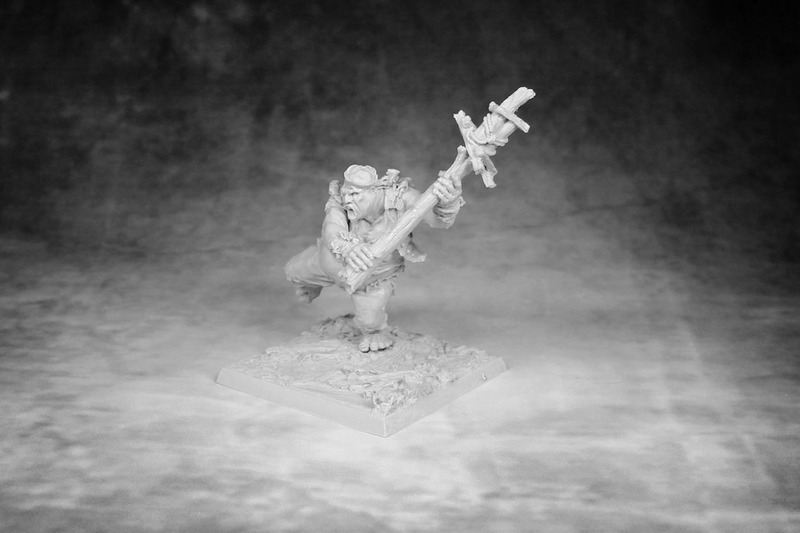 The base is pre-sculpted as always with the Freebooter miniatures, but is a solid resin base and not two-part metal and plastic as usual. Beside that you get a huge ogre body, the two-handed weapon and a bag. Casting of the miniature itself is good, no bubbles and only a bit of flash along the side where the two halfs of the mold closed. Those were easily peeled away with a brush. 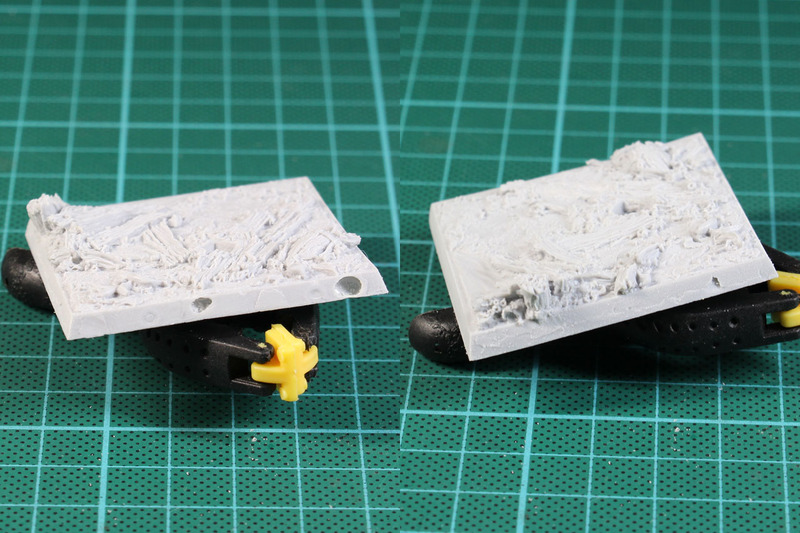 Only the base had a bit of trouble, but the holes are easily fixed with a bit of putty or green stuff. As usual with resin, it is recommended to give the parts a good scrub in a lukewarm soap bath. This gets rid of the release agent and saves you trouble while painting. Mentioned earlier, this one is big - but how big? 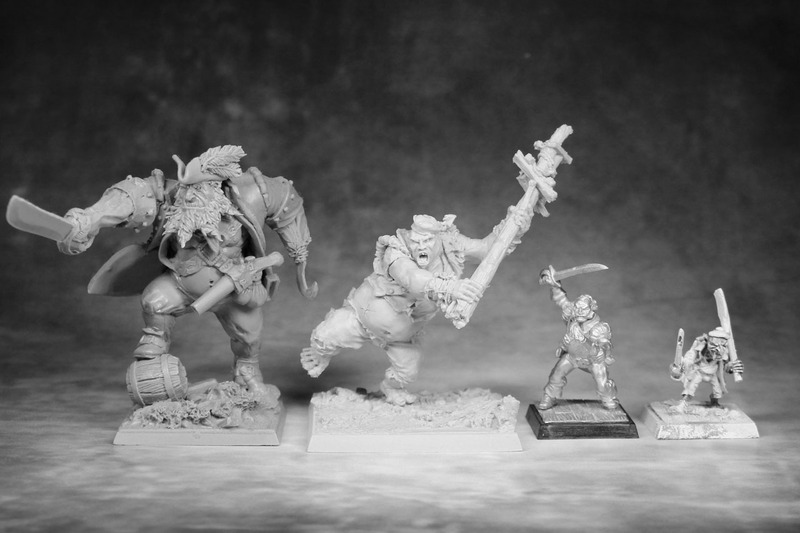 For that reason here is a comparison shot, between Titan Forges Ogre Kaptin Gorehook, El Grandulon himself, the first mate and a goblin mariner. And for the last series of images, El Grandulon does a little pirouette, to show himself from all sides. Roughly 26 Euro is a fair price for a miniatur of that size. Especially is you count in the pre-sculpted base, the cards and the nice detail of a matching card sleeve. 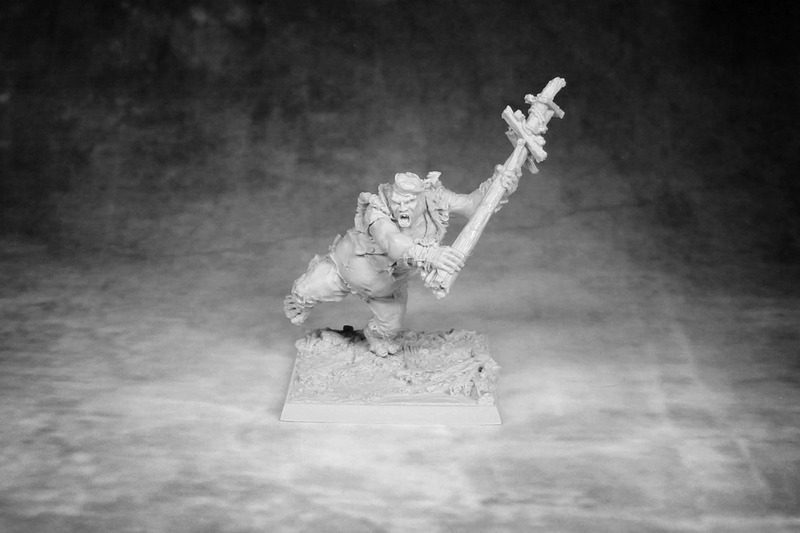 At first i was afraid, as some of the freebooter sculpts have lots of single parts to make all the details possible and as such can be a bit of work while assembling. 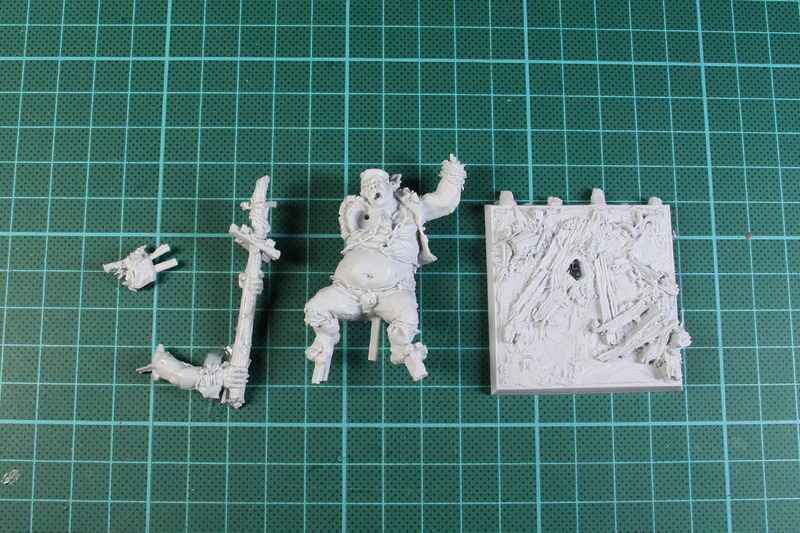 But it with 3 parts for the ogre that is no real problem and the resin is a good fit and easily glued together. I am excited to see what else will follow this first experiment. Not really looking forward and expecting to see many more big guys, as it would be a bit of "deflating" the value of special characters like these, but it makes some more complex and voluminous miniatures possible. And with the high level of detail, creativity and quality that we are used by Freebooter, this is certainly a good thing! 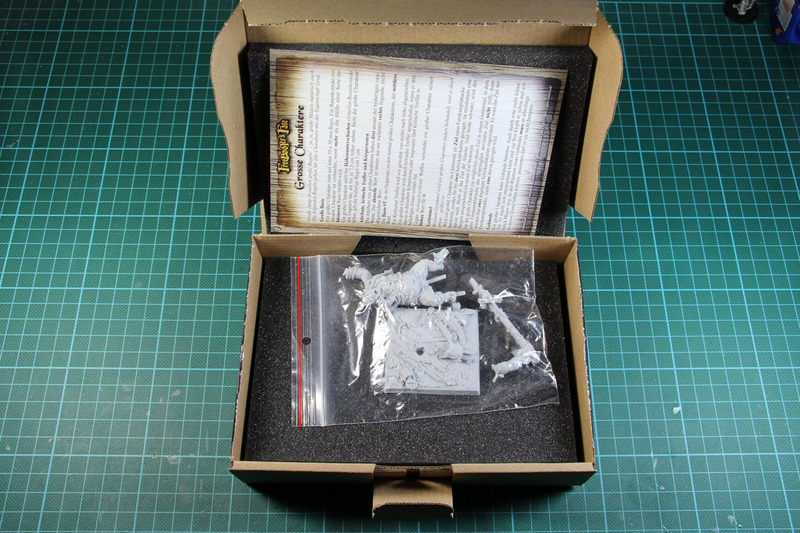 Freebooters Fate is a brand of Freebooter Miniatures.